Nashville, TN – H.B. Charles, Jr., Pastor of Shiloh Metropolitan Baptist Church in Jacksonville, FL, is scheduled to speak at the Opening Session of Proclaim 16, the NRB International Christian Media Convention, in Nashville, TN, on February 23, 2016. In addition to his responsibilities of preaching, teaching, vision casting, and leadership development, Pastor Charles is a blogger and author of three books. Furthermore, Pastor Charles is the host of The On Preaching Podcast – a podcast dedicated to helping listeners preach faithfully, clearly, and better. His sermons are broadcast via a live video stream and posted on YouTube.com. H.B. Charles, Jr., was a 17-year-old senior at Los Angeles High School when Mt. Sinai Missionary Baptist Church (MSMBC) in Los Angeles, CA, ended a year-long pastoral search by selecting him to succeed his father, Dr. H.B. Charles, Sr., whom the Lord called from labor to refreshment in June of 1989. Over the course of Pastor Charles' pastorate, his love for God's Word, the Church, and lost people has been obvious to both the membership of MSMBC and the larger church community. This resulted in Pastor Charles balancing his pastoral responsibilities with speaking engagements in revivals, conferences, and other church events around the Greater Los Angeles area and across the country. 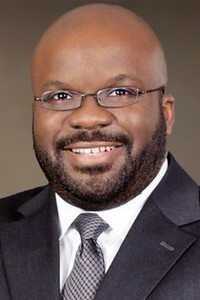 Since the fall of 2008, he has served as the Pastor-Teacher at the Shiloh Metropolitan Baptist Church of Jacksonville.